BRUSSELS (AP) — The ousted leader of Catalonia remained the subject of a European arrest warrant Saturday as questions mounted over how long he would elude the Spanish justice system by staying undercover in Belgium and delaying extradition. 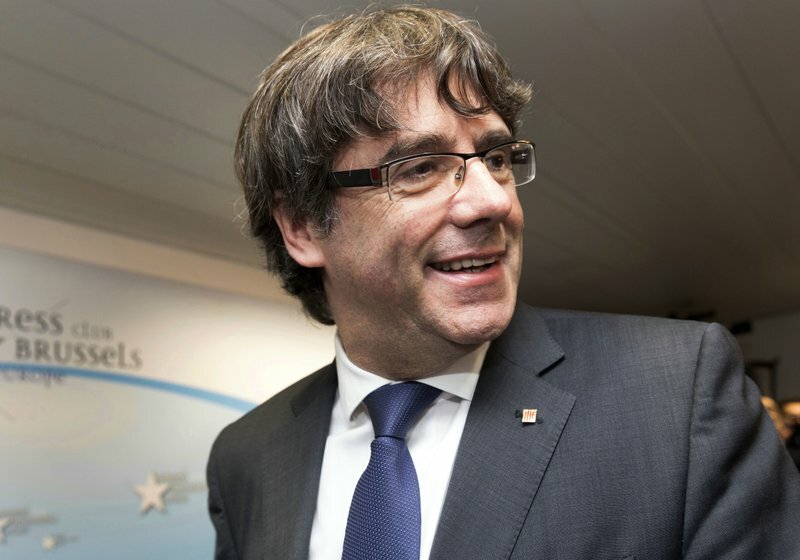 Puigdemont wrote in Dutch on his Twitter account Saturday that he would “cooperate” with Belgian authorities, although his lawyer has said the pro-independence politician would fight a forced return to Spain. “We are prepared to fully cooperate with Belgian justice following the European arrest warrant issued by Spain,” Puigdemont wrote in Dutch on his Twitter account. Back in Barcelona, the government seat of Catalonia, pro-union parties criticized Puigdemont for his flight to Europe’s capital 1,066 kilometers (662 miles) away. One of them, Republican Left’s president, Oriol Junqueras, is the region’s former vice president. The separatist majority of Catalonia’s Parliament voted in favor of a declaration of independence on Oct. 27. The next day, Spain’s central government used extraordinary constitutional powers to fire Catalonia’s government and dissolve its regional parliament. 0 Response to "Belgium hopes to act on warrant for hiding Catalan leader"